We are often asked for rod recommendations and to be honest, that is quite a loaded question. 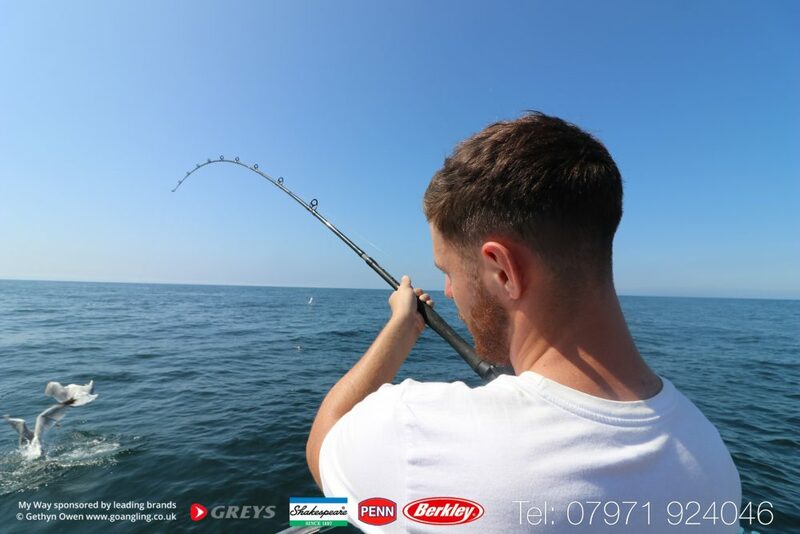 In truth there are so many different rods available from a variety of manufacturers that cover a host of different fishing scenarios, from heavy duty conger fishing to light rock fishing for example, rarely do you find a rod for everything. However anglers often ask for something with a more general use, the rod needing the flexibility to cope with many situations. 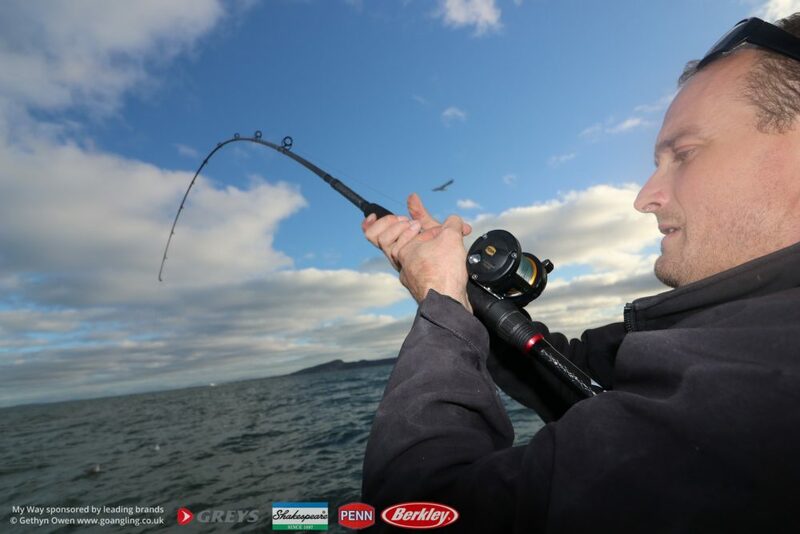 The Greys GR100S range of boat rods fit nicely into this category. 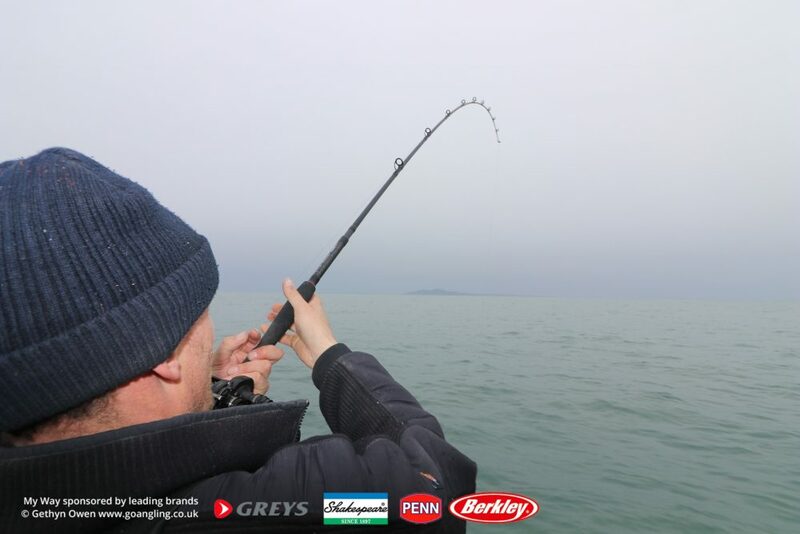 There are 4 rods in the GR100S boat range – 8, 12, 20 and 30lb class. Amongst the various rods available aboard My Way 2, we’ve had the 20lb class GR100S boat rod available to our anglers for the last couple years. The blanks are constructed using Greys TOREON® Nano Composite technology. Carbon fibre products can often be limited in compression strength that can sometimes lead to micro buckling or fractures. Introducing resin with Carbon Nano Tubes (CNTs) allow for the creation of a much stronger product, that help support the carbon fibre more creating a much stronger & lightweight material. Greys tasked their composite engineers to come up with an improved CNT process to offer improved uniformed dispersion within the resin and carbon fibres. The resulting process they called TOREON® Nano Composite with increased test scoring in flexural strength, stiffness and resistance to external impacts compared to conventional carbon blanks. 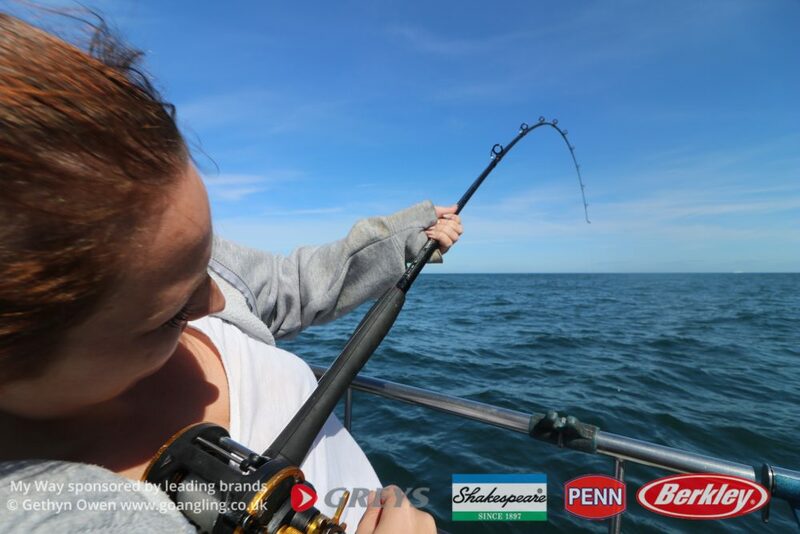 The light and sensitive tip offers extremely good bite detection often showing the smallest of rattles when fishing for a variety of species such as whiting, dabs gurnards etc. 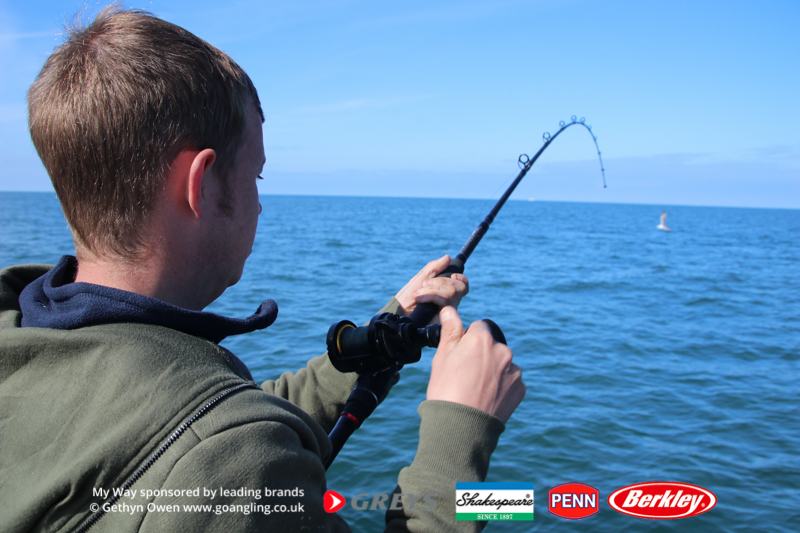 Its lightweight build ensures that the rod is equally at home when being held all day drifting for pollack, cod or turbot for example. The sensitive tip allows you to detect bites and when hooked up the progressive nature of the rod slowly bends to exert maximum pressure when required from partway down the tip section. We’ve also used the rod for many double figure hard fighting species such as rays, huss spurdogs and tope! Fishing particularly in Holyhead Deep can be quite hard work, 200ft of water with a large tope or double shot of big spurdog can be tiresome. The GR100S is effortless in helping tame your catch, the responsive light tip soon locks up allowing you to apply pressure directly down the line and lift into the double figure shark on your hook. If you’re looking for that one go to rod, the Greys GR100S should be high on your list for consideration.